Last night was fun. 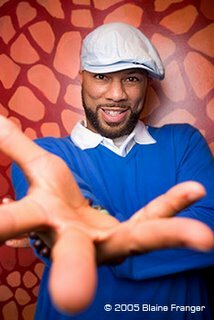 I did a photoshoot for Risen Magazine of the hip hop artist known as Common. 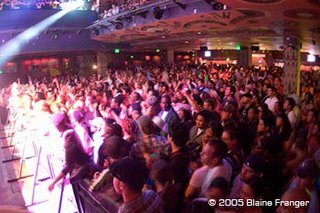 His sold-out show was at the House of Blues downtown San Diego. You should have seen all the people. They gave me about 15 minutes before the show to shoot some portraits of him before his set started. I am pretty happy with the shots I got, especially because I don't usually shoot people, much less famous people! He was a super nice guy though, and he liked the photos I showed him on the back of the camera. After I did the portrait shoot, he was on stage. 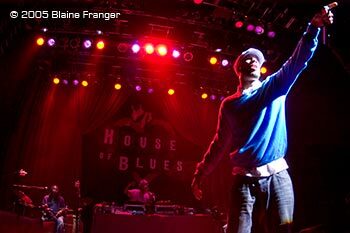 It was sweet cuz they gave me a "photo pass" so I could go just about anywhere and shoot.